Do you plan your next sewing project while on work? I do, sometimes. Especially when I am standing in the rest room and looking into that big mirror. This happened a few weeks ago when I was thinking about a top that might go with my new pair of Emily Culottes. A white T-Shirt was in my mind, and as I do not own a single plain white T-Shirt I would have to sew one. But a simple T-Shirt is a bit boring, right? I wore a version of Simplicity 1849 that day and while looking in that big mirror it occured to me that it would look great together with the culottes. I would just shorten the sleeves to make it more summer appropriate. One weekend later I had what you already saw in this picture. The fabric is white cotton knit with elasthane. I got it during the sale when Elingeria closed down her business. It has a great recovery and was perfect for this top. I cut a size 10 without any alterations. This top is actually a shirt with the twist as an overlay and a front facing. 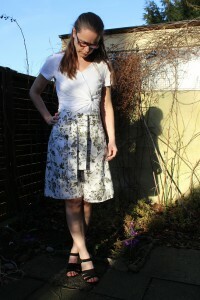 I fiddled a bit with the V-neckline to get it right, but else this is an easy sew. Seams are all finished with the serger. From the leftovers I made two more Watson Bikinis and one Butterick 6031 camisole. For the Bikinis I tried to add lace scraps (I hate to throw away fabric scraps and are constantly searching for ways to put them into use). I like how it turned out. I even made some ribbons. It took me a whole Sunday morning to make these two, but aren’t they cute? For the camisole I changed two things. 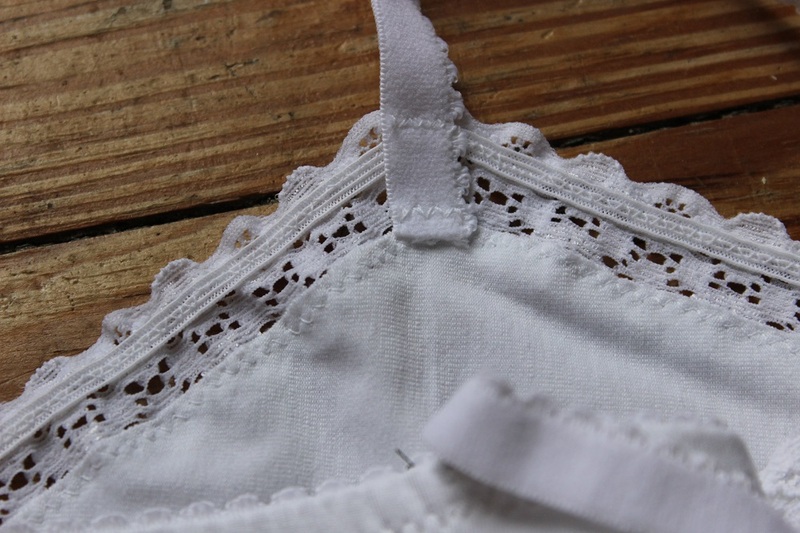 Instad of using clear elastic to sew under the edge of the neckline lace, I used very tiny white “Dekollete” elastic. The reason is that when I iron my camisoles I always melt away a bit of the clear elastic. Secondly, I did not use small lace for the straps but usual lingerie elastic. The lace straps always come out of the washing machine quite crumpled. This entry was posted in lingerie, Simplicity, Top and tagged lingerie, Simplicity, top. Bookmark the permalink. You have some nice garments there. The animal print looks similar to something I just did the beginning of the year. 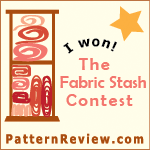 I like your taste in print fabric! Hi Linda! Thank you. 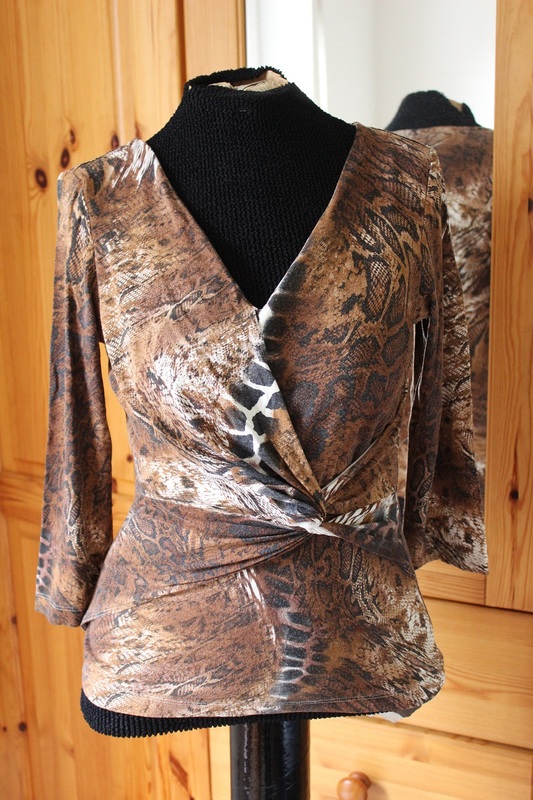 Usually I am always unsure about prints but this one I really like and wear quite often.